The Brownstone Birding Blog: What's Worse Than Forgetting My Camera? What's Worse Than Forgetting My Camera? Sometimes when I get up early to go birding on the weekend I forget some of my birding gear because I'm in too much of a hurry. If I forget my scope it's no big deal. I can still get by with the use of my camera and binoculars. Forgetting my binoculars is more of a disappointment but then I usually concentrate my efforts on getting better photos. The one thing that bothers me most is when I forget my camera. I don't like being without it because I know that will be the morning when a great photo opportunity will present itself. So what could be worse than forgetting my canon 50x superzoom camera? The top photo is of a kodak Duaflex II camera which was recently discovered packed away in an old box down in the basement. I wouldn't even bother taking photos of birds if I had to use that old camera. I don't know what a "kodet' lens is but I doubt it would take close-up pictures of birds and I wouldn't want to bother developing the film. I forgot my camera this weekend but decided it was worth the ride to back for it. Even an average photo (Red-breasted Merganser) from the Canon would top my best efforts using a kodak Duaflex. 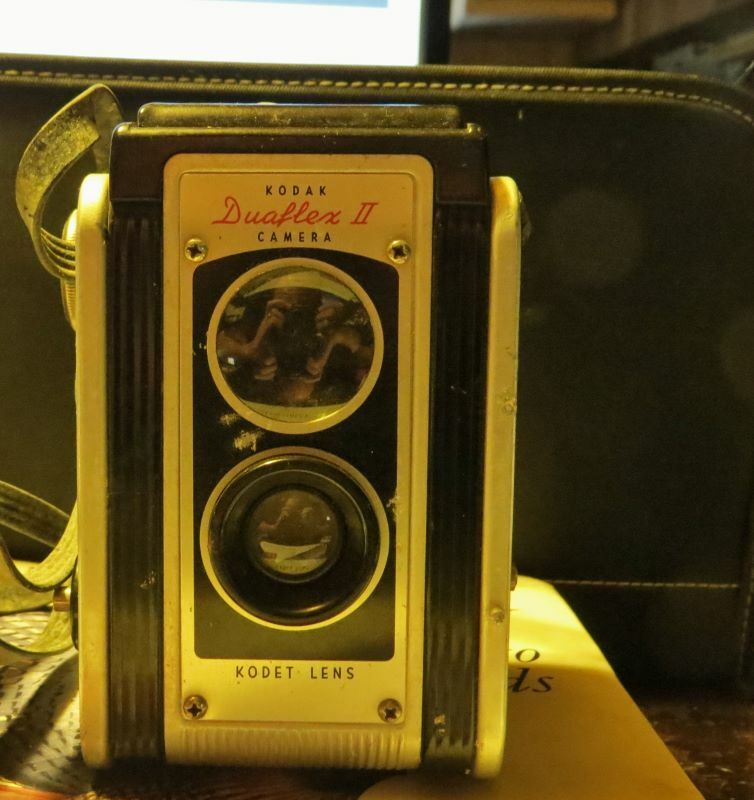 I'm sure that it would come in handy if I was living in the 1950's but for for now I think I'll just put it on the shelf as a reminder of how much cameras have advanced in technology since then. That camera is quite an antique, in today's times. I think you better keep your antique camera it's now a antiquarian. 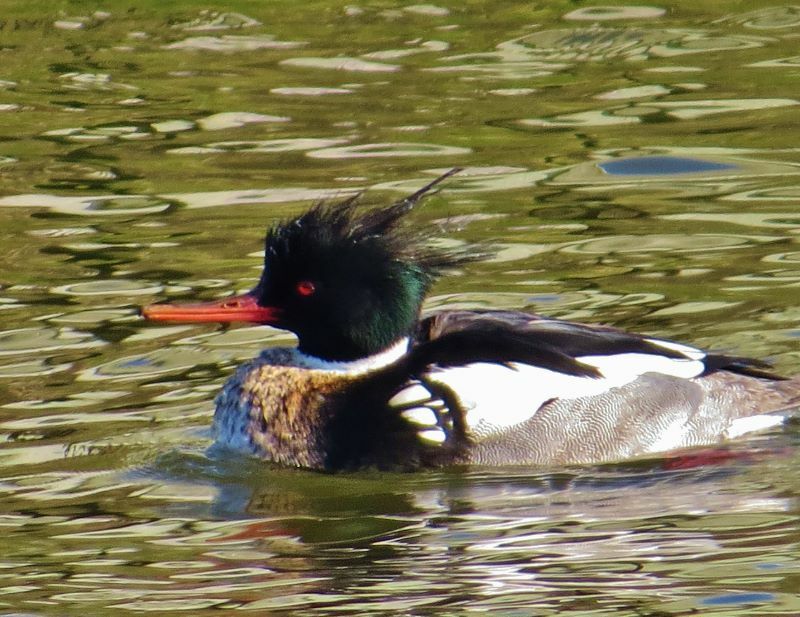 Interesting bird, a Merganser or goosander is not often seen here, Larry.